Our amenities are a big reason why our hotel in Panama City Beach is such a great place for families to stay on vacation. We take pride in giving our guests the chance to enjoy our many amenities we offer. We’ll give you 4 good reasons why we consider them to be the best for your family vacation at the beach. When you just don’t feel like going out to a restaurant, our hotel in Panama City Beach has kitchenettes that’ll give you the added option of providing a good home-cooked meal for your family. All you have to do is provide the food, and you’ll be set. 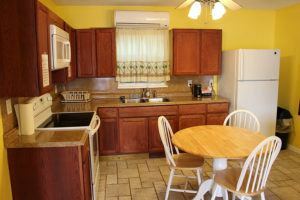 Our fully equipped kitchens will give you all the tools you would normally have at home. Then you can sit down with your family after a thrilling day of activities — since you’re probably starving by now — and enjoy a meal together. 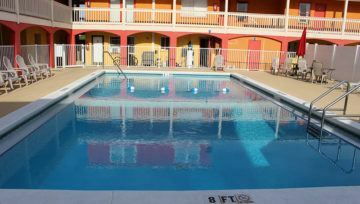 Our hotel in Panama City Beach provides families the valuable option of saving money with our great rates. Sometimes a vacation can get quite pricey with accommodations, but that’s where we give our guests some relief. With the amount of options available at our hotel — providing all the conveniences of home — you won’t be able to find a better value for your hard-earned money. This also means you’ll be able to enjoy more of the attractions and restaurants just a short drive from Aqua View Motel. When you visit our hotel in Panama City Beach, we want you to have the type of vacation we’re sure you’re longing for — one of relaxation! Our rooms provide plenty of comforting qualities that will help you breathe easier. The feeling of walking out in the Florida sunshine with the sand beneath your toes will be another reminder of where you are, even though you may have to pinch yourself to make sure you’re not dreaming. 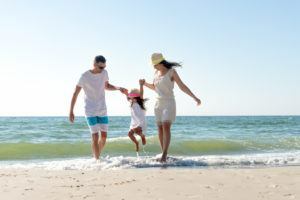 A vacation at our hotel in Panama City Beach will be a memorable one, because you’ll be able to spend quality time enjoying a fantastic getaway with the kids. The 3 previous reasons you’ll love our amenities will give make it easy for you to spend some precious family time. 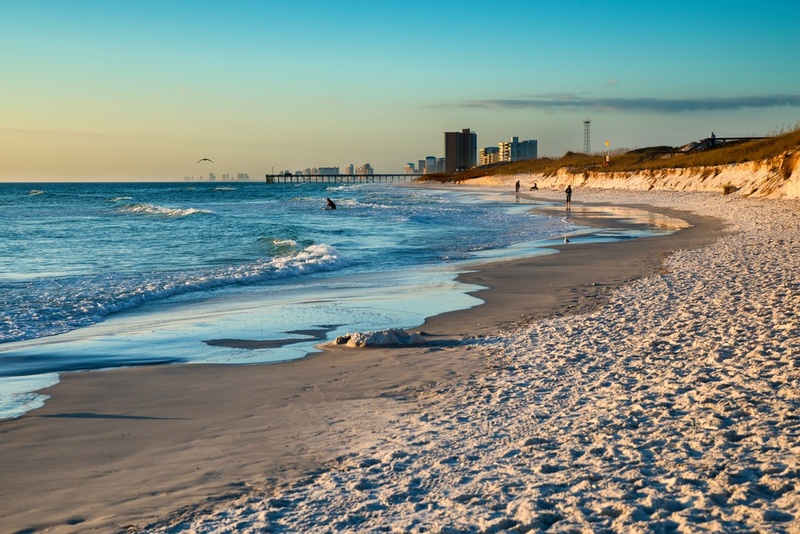 Whether it’s having fun at all the Panama City Beach attractions, doing fun activities at the beach, or relaxing in your room, you’ll never run out of things to do with the kids here. We’re sure you marked off everything on your checklist after seeing what we offer here at Aqua View Motel. We provide our guests with top-notch comfort, all the while giving them a great value along with warm hospitality at a location that’s ideal for any beach-goer. So what are you waiting for? ​Reserve a room from us​ today to soak up all the joy you’re sure to have with us!